Those lovely things are all so "you" - the colours and the designs I mean. Love the little pin cushions and the idea of adding the labels is good too. 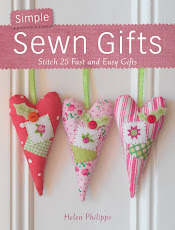 Sew clever! Beautiful pretty pretty things - I love them, especially the labels. More pretty things, I always find such prettiness here! I also have a crush on that Tanya Whelan fabric roll! I hope you show us what you make with it, I have some and I could use some inspiration!! Hello Helen!...Your pin cushions are so pretty and I love the addition of the handmade tags....I am always making cover buttons from my scraps of fabric ..it is great fun and I use them in so many different ways....Tanya Whelan fabric really is so lovely ...I have quite a lot of it in my fabric stash at the moment and intend to use some in the backgrounds for my new pattern...Ooh, I'm not sure if that should be a secret! It's always a joy to visit your blog. You make the most beautiful things. 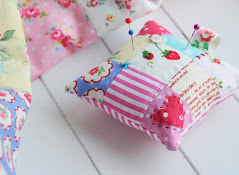 Your pincushion and buttons look very sweet. Love your new fabrics! I LOVE those little pin cushions, what a great idea! Helen you are showing such a collection today of sweet treasure. The pin cushion gifts are very clever and your buttons are looking great. I am so looking forward to seeing this mystery project :0) It has turned sooooo cold today and indeed show is forecast by the weekend.Brrrrrr, keep snug. 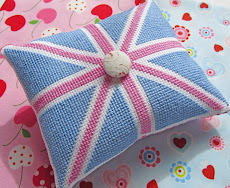 Such pretty things :D I have knitted 'parcel' lavender bags in the past, but would love a parcel pin cushion! 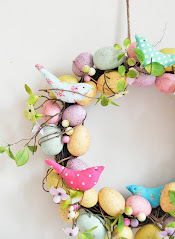 As always I love to see all the pretties on your blog. 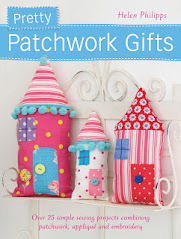 Your little gift tags are so cute and are the perfect touch for the gift pincushions. Have a great day! Hi Helen! I love the "cake" of pretty fabric! I don't do much sewing but I recently bought some miniature printed fabric to make a new quilt for the 4 poster bed in my dollhouse! I figure a tiny one won't be that hard.. right? LOL! 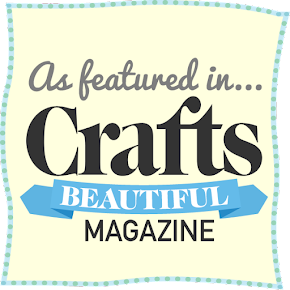 Love all your crafty pretty stuff! They are sweet little pincushions - the tags really make them individual. 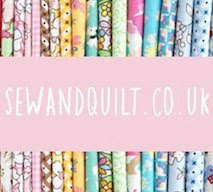 And some lovely springlike fabric too! Absolutely lovely, your jellyroll looks almost too good to open up. Take care Helen, and keep warm! Helen, all of these photos combine to show us yet again what a unique sense of style, imagination, attention to detail and playfulness goes into all your designs. You've made me smile a lot with this post. I really love those little cards; playing around with stamps and various papers and inks is right up my street. 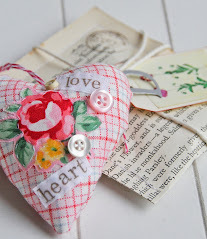 Your little pincushions are lovely Helen and the tiny gift tags are so sweet, I love the little postage frank marks! Keep warm, it's so cold! Helen, so nice to see this beautiful post. I love the pincushions and fabric BUT I'm really in love with the little tags!!! They are so cute and clever and would make any gift that much more special. 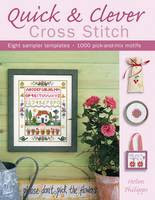 Can't wait to see your secret project, the fabrics are lovely. I love all your fabrics on the pincushions too. Fabric really is addictive, there are so many beautiful fabric makers these days. A beautiful post Helen. I LOVE all your fabrics. 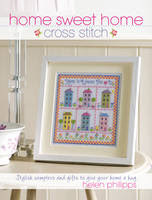 The prints and colours are SO uplifting and cheery. They can put a smile on the most glum of faces! Mine is glum with cold, but you have put a smile on it...so thank you! What post of happy Gorgeousness! Loving all that jelly roll. I do love Tanya Whelan fabrics they are always so pretty. Those covered buttons look divine too I can see why they are addictive. And what sweet pin cushions too. Thank for such a warming and bright post. 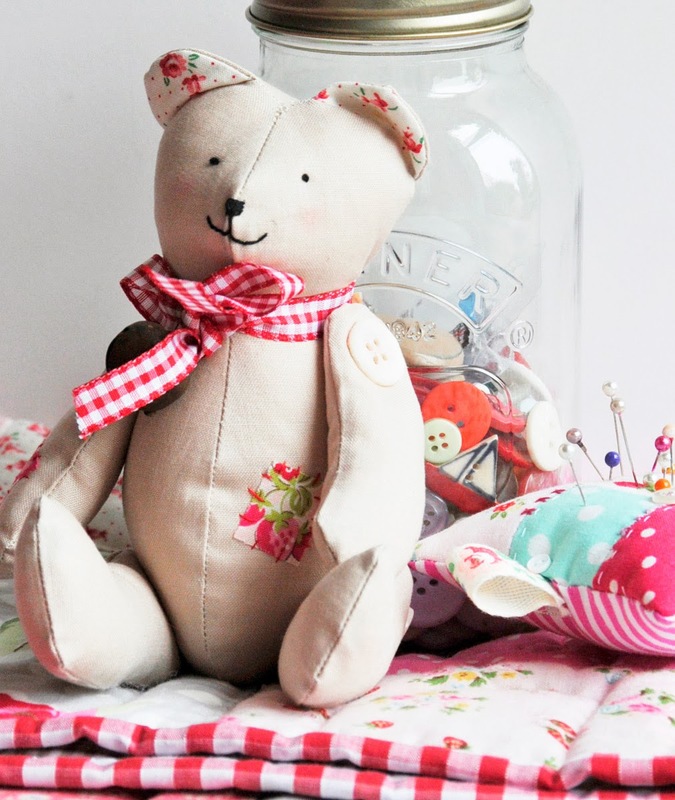 What a lovely post, I love the tin your pretty pin cushion are in and I am going to order some of that really pretty jellyroll! This fabric is so lovely....I have always wanted to cover buttons...I think you have inspired me to get on it! Thanks for the joy I find over here everytime I visit...and Happy February!!!!! I loved my visit as usual! It's like seeing a new page in one of your books - which I love! As always an enjoyable visit! You always make such beautiful things Helen. Such a lovely fabric collection. Love the covered buttons. 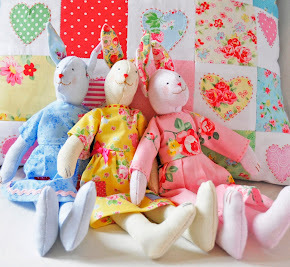 What pretty fabrics and your make such beautiful things as always! 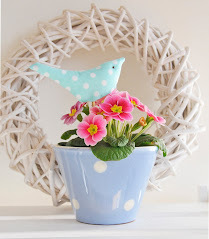 So sweet - the colours are so cheering on a cold day like today. Sue from @home got the button factory kit for my daughter as a gift. She loved it and even insisted I used one of her button badges as part of my recent giveaway! 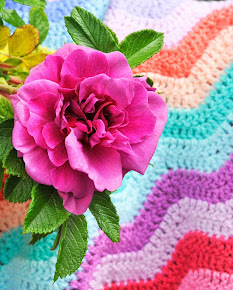 I just came over to say thanks for your comment, and so pleased I did because the colours here on your blog page have just made me "smile out loud"! it's like looking at a sweetshop counter. The little pin cushions are a delight, I'm sure there can't be anyone who wouldn't relish receiving one- how clever you are to make something so simple look so lovely. 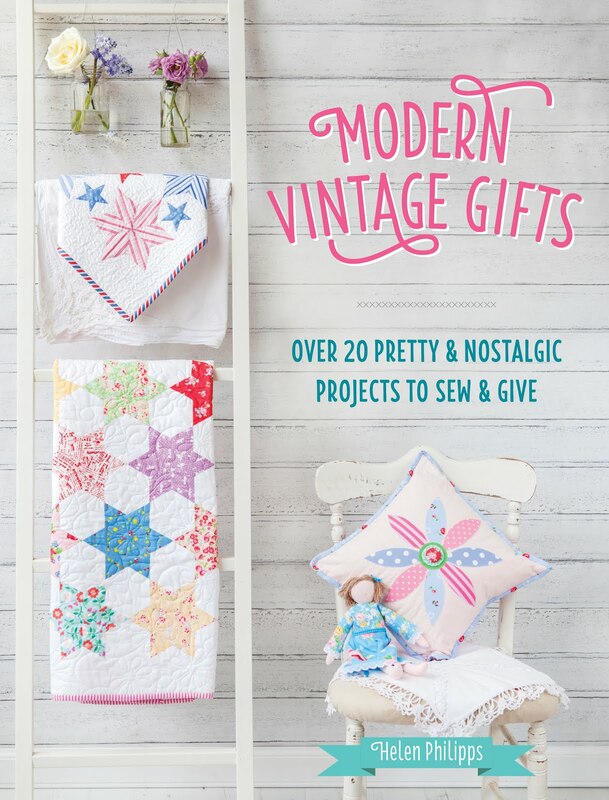 What a fabulous collection of gorgeous things! pretty! i love all the sweet colors and delicate patterns. i always feel like making something after i visit you helen. 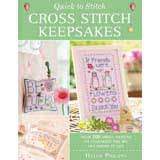 Loving all your pinks (and other pastels too), roses and dots, Helen, they just make me smile! I really like the look of your little button , Helen - the girls and I would have so much fun with one. Your posts are so colourful and uplifting - thankyou! Hi...Helen........ The fabric you choosed really awesome. The pincushion are so lovely. Making fabric covered buttons is a creative idea. I will also try to make fabric covered buttons at home. Hello Helen, so sorry I seem to have missed this post. Your covered buttons look like sweeties! 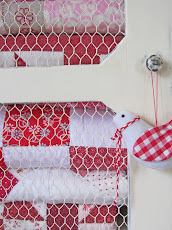 I love the jelly rolls of fabric, so pretty, can't wait to see what you will do with them. I thought you might like to see? I hope you don't mind. I really enjoy reading your blog and love all of your work. I am an artist who creates artwork for children mainly but love to make all sorts of things whenever I get the chance.